When it comes to buying a house, the deposit is just the beginning. Legal fees, stamp duty, bank and insurance charges, not to mention moving costs, can all add up to tens of thousands of extra dollars on the average home purchase. Why do lenders talk about a 20-percent deposit? Twenty-percent is the magical deposit amount where banks will lend to you without adding on an extra margin, called Lender’s Mortgage Insurance (LMI) to reduce their risk. Canstar explains, “Lender’s Mortgage Insurance is a condition of home loan borrowing where your mortgage lender may require you to make a one-off payment to protect them (the lender) against the event where you (the borrower) might fail to make your home loan repayments.” To avoid having LMI added to your repayments, you need at least a 20 percent deposit which, depending on the property and location, could be a hefty six-figure sum. A detailed, 12-month budget can provide deep insights into your finances and reveal where extra money can be saved and bill payments smoothed to make cash flow management easier. With a budget in place, you have structure and visibility over your finances, which makes it easier to save regularly. 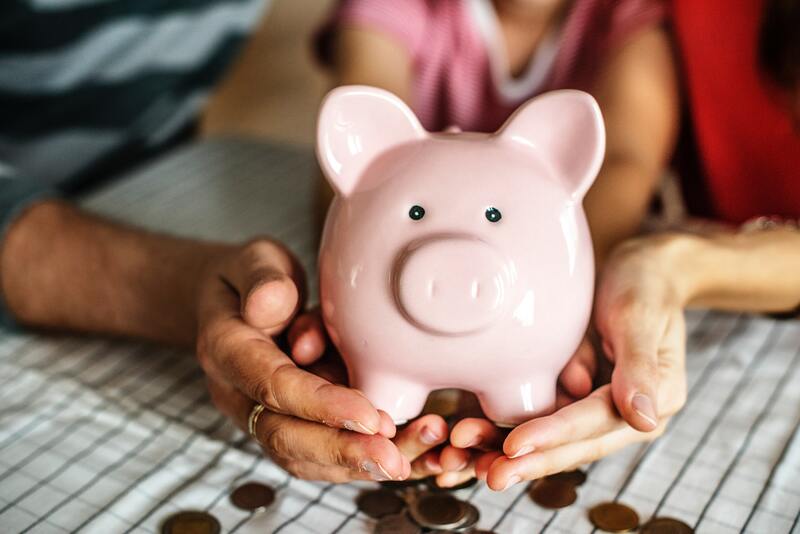 Given that interest earnings on savings accounts are generally lower than interest charges on loans, it makes sound financial sense to use any spare cash to pay off debts before you start saving. Especially in the case of credit cards, personal lines of credit and other debts with high interest rates. One of the tricks to saving money is to never let your savings touch your pocket. Open a dedicated bank account for your savings so they’re kept separate from the money you use for your living expenses and bills, and then set up an automatic transfer so that a portion of every pay is deposited directly into it. For the majority of people, the ability to save is affected by how much they spend. The less you spend, the more you can save. If you’re finding it hard to save regularly, this statement is a simple, but powerful reminder that saving challenges usually stem from spending habits. By taking control of your spending, you can create spare cash for saving. Are you struggling to save for a home deposit? Want to get into your own place sooner? Call MyBudget on 1300 300 922 and a caring money management expert can put together a customised budget plan for you.